Which Version Should You Play? 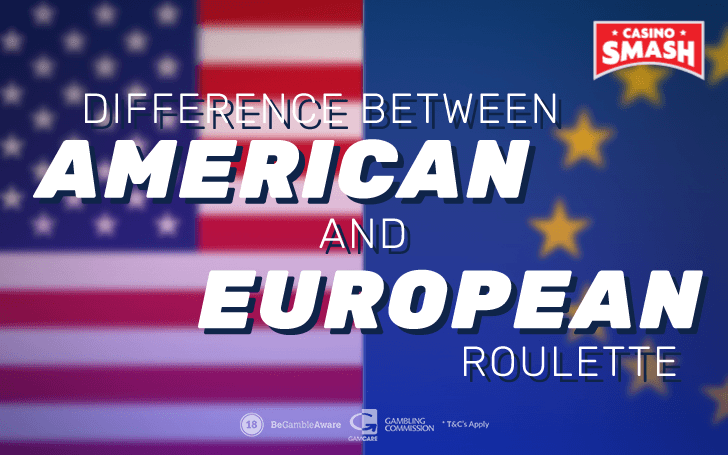 Important Read: if you don't know what are the differences between the American and the European Roulette, make sure you read this quick guide to the game. Roulette is a simple game, you might think. Spinning that Roulette wheel either leads to a winning or a losing outcome, depending on your bet and on your bravery. While it might seem like a random game, success in Roulette depends on many variables. Things are complicated further by the differences between American and European Roulette. What’s the difference between an American Roulette wheel and a European Roulette wheel? How do we know which to play? Let’s look at how a few divergences in the rules of the casino’s favorite game made it a totally different one, depending on which casino you’re playing in. Roulette, perhaps because of its sheer simplicity, has long been a mainstay of casinos. With its origins thought to come from 18th-century France, and said to be an unexpected by-product of attempts to build a perpetual motion machine, Roulette has been around for a long time. In essence, players bet on a number and a color, and then a ball is deployed onto the spinning wheel, in the opposite direction to the spin, by a croupier. When the wheel stops spinning, and the ball comes to a rest on one of the numbers, the winner becomes known - if there is one. You’d think this was one of the simplest games going, and you’d be right, except that, as it has become the global casino game, so too Roulette has diversified. There are now two distinct versions of the tabletop gambling game, and which one is being played carries huge implications for the player. These versions of the game are known as European and American Roulette. The most important difference between American and European Roulette is the number of zeroes on the wheel. Both European and American Roulette have 18 black and 18 red numbers, but the American version, rather than having one green number, 0 ('zero'), like the European one, has two. These are 0, and 00 (or 'double-zero'). While this doesn’t affect the amounts potentially being paid out, it does most certainly affect the house edge, which is almost doubled between European and American Roulette, thanks to that extra potential point of failure in the 00. From 2.7% on a European wheel, it becomes a far tougher-to-crack 5.26% in American Roulette. American Roulette has become the standard at the majority of mainstream casinos around the world, due to its increased house edge, which means that players at the table are likely to find they lose more of their money, more quickly, that would be the case on European Roulette. This might sound unfair at first, but then think about the fact that casino players love to play Roulette - it is consistently among the most-played table games, and among the most popular games for online casinos, and if someone wants to play a game, it makes sense for casinos to offer the most challenging version. You can play Roulette, and a whole host of other exciting games, with our friends at Grosvenor Casino. 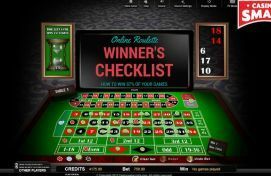 n some forms of European Roulette, it is possible for players to make a 'call bet', meaning they will announce their bet without putting any money down on that turn. This is possible in a number of countries, if their casinos play European Roulette, although not in the UK, where it is illegal. American Roulette has no such option, although it does have the 'five numbers bet'. This is a bet for the brave or the desperate, where players put their money on five consecutive numbers, namely 0, 00, 1, 2, and 3, with a win if the ball lands on one of the numbers. There are only 6:1 odds of winning, and the house edge is increased significantly, so this is not a bet for the Roulette player to take lightly. European Roulette also carries the 'En Prison' option. This, as the name implies, comes from the French origins of the game, and allows the player to reclaim half of their wager if the ball stops on 0 on a European Roulette wheel. By allowing this, European Roulette becomes an even more amenable experience, with the house edge even thinner, at 2.7% if ‘En Prison’ is allowed, and far behind American Roulette. With the European Roulette, thanks to the Roulette wheel layout, the odds of winning are 37:1, while American Roulette has odds of 38:1 thanks to that extra number. In both versions of the game, players will get a 35x multiplier on their wager when they win, as it’s a 35:1 ratio for wins. My advice is to play European Roulette, if you like winning money, but it is highly likely that you will visit most casinos and get presented by the option of American Roulette or nothing. In this case, spin the wheel, and enjoy a fun game of American Roulette. Bonus info: terms and conditions apply to the offer. If something isn't clear, have a look at our review of Grosvenor Casino for the T&Cs in full. The offer on this article might have expired by the time you read it. Please refer to the review pages for the latest bonuses and promotions available.